When visiting Trinidad in Cuba, most tourists take a day trip to the popular and nearby Playa Ancon. 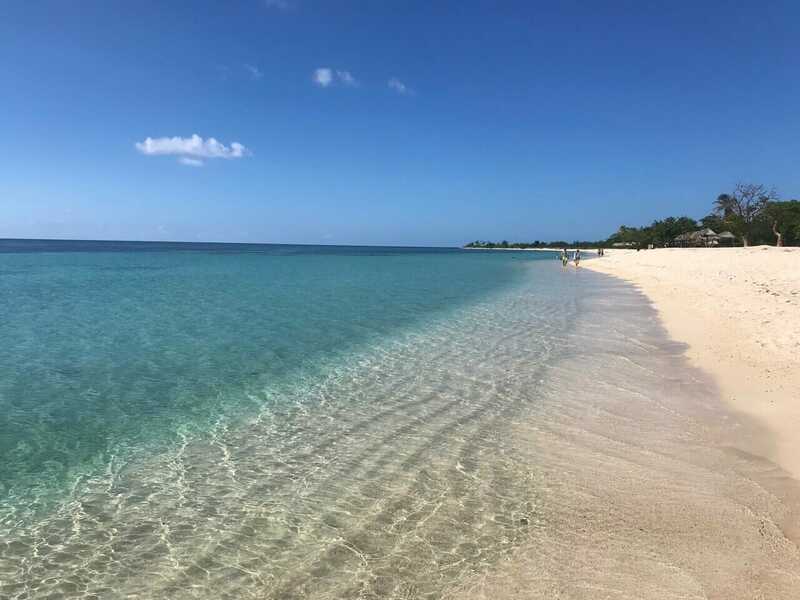 Even though Playa Ancon is considered the most beautiful beach on the South coast of Cuba, some travelers think that it isn’t worth visiting. Either because they believe there are better beaches in Cuba, such as Playa Larga, Varadero and Cayo Coco, for example, or are short of time. Planning my trip to Cuba / Trinidad, those questions stuck in my mind; Should I go to Playa Ancon or not? Is it worth visiting Playa Ancon? Should I do other things in Trinidad instead of visiting yet another beach? How to get from Trinidad to Playa Ancon? Is it worth visiting Playa Ancon? The Ancon Peninsula is located around 12 km (7.3 mi) from Trinidad and 375 km (232.5mi) east of Havana. 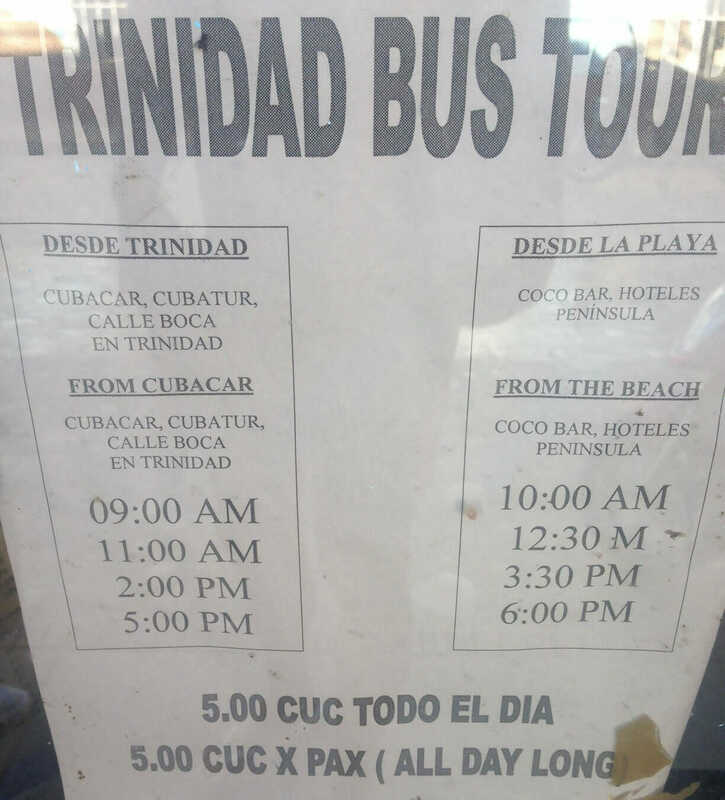 The bus from Trinidad to Playa Ancon departs from the corner of Calle Lino Pérez (San Procopio) and Calle Antonio Maceo (Gutiérrez) – note that many streets in Cuba have two names (from before and after the revolution). It’s common to see some drivers offering a taxi colectivo to Playa Ancon in the area. 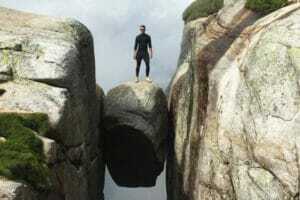 you’ll need to negotiate the price and it helps to find more people if you’re a solo traveler or couple. I was Traveling with a friend and we found two other people waiting for the bus and shared a taxi colectivo with them. We paid 4 CUC each for the round trip and the driver agreed to pick us up at 3:00 PM. It was much better and faster than taking the bus. You could also ask the owner of the casa particular where you’re staying to arrange a tour or a private car for you. It will cost between 8 – 10 CUC per person. If you like adventure, my recommendation is to rent a bike. The ride takes around 40min each way and you can explore the neighboring beach, La Boca, on your way to Playa Ancon. It costs 5 CUC for the whole day. But be careful with the heat, though. The best time to visit Cuba is from December to May, when you can expect dry, sunny days and plenty of blue skies. The wet season begins in June and lasts until October / November. 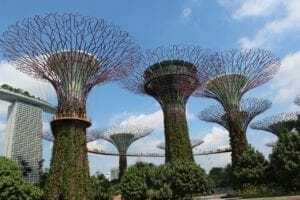 August is the hottest and most humid month of the year. Don’t forget that the Caribbean basin is affected by an annual hurricane season (from June to November), with September and October having the highest chance of hurricanes. I visited Play Ancon in the middle of November and the weather was fantastic. You can stay in Club Amigo Ancon, a resort that has reasonable prices, or in casas particulares / hotels in Trinidad. Yanara Hostal, Cubata and Friends Rooms, Blue Room & EL Ceramista and Hostal Zuniga’s Chef. I arrived in Trinidad for a three-day journey and immediately started asking people if it would be worth visiting Playa Ancon. The answer from the locals was that I definitely should visit it. 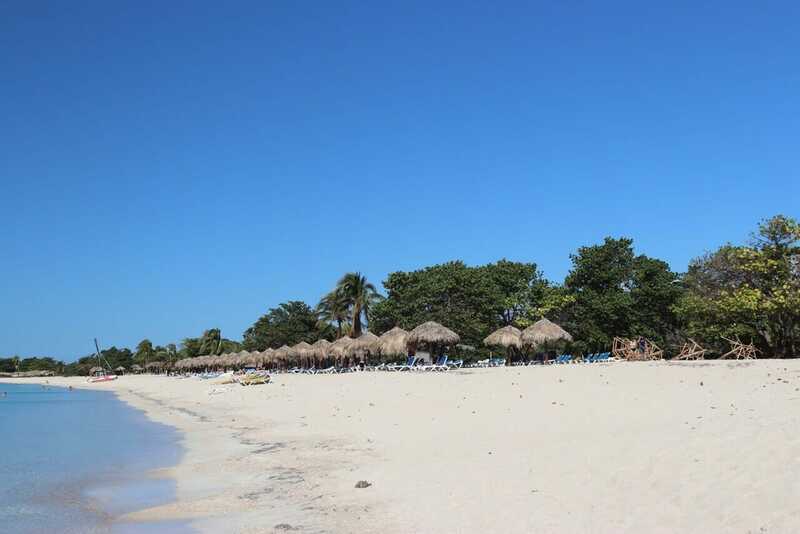 “Playa Ancon is the most beautiful beach in Cuba”. “It’s even more beautiful than Varadero”, they said. So, I headed to the bus stop but ended up taking a taxi colectivo to Playa Anacon. The driver stopped by at another beach on the peninsula in front of the Ranchon Grill Caribe, but we didn’t like it very much. 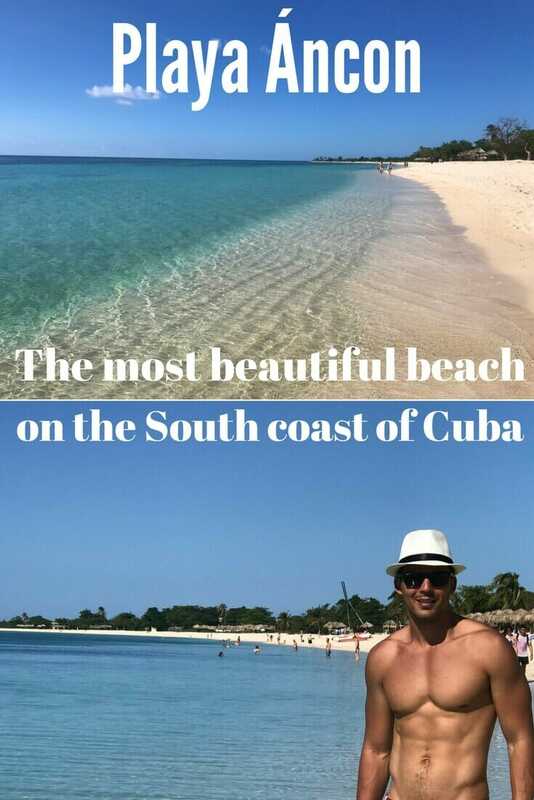 We really only wanted to go and see the famous so-called most beautiful beach on the south coast of Cuba. We arrived at Playa Ancon around 9:30 AM and the beach was a picture perfect paradise: white sand, crystal-clear blue water dotted by lush vegetation. And the best thing was that it was completely empty. This is what you expect from a Caribbean beach ! The beach is 4 km (2.5 mi) long, and has some beach facilities such as chairs and umbrellas for hire, a parking lot, and a very simple bathroom. There are also people offering boat trips to nearby cays and other water activities. Chairs and umbrellas for hire. Or you can just stay under the trees. Close to the parking lot there’s a big resort, where most of the locals and tourists gather, but away from this area, the beach is much quieter and nicer. Playa Ancon is perfect for swimming in its calm and pristine water, sunbathing, relaxing under the tree, and also taking pictures for your Instagram account. 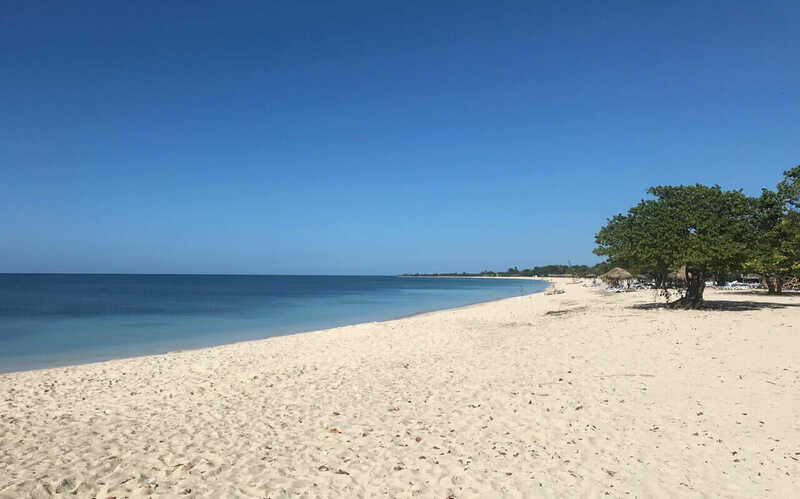 I stayed at Playa Ancon until 3:00 PM and when I left I felt very glad that I took the chance to spend the day on one of the most gorgeous beaches in Cuba. Even after visiting Playa Flamenco in Cayo Coco (my favorite Cuban beach), Playa Pilar in Cayo Guillermo (considered the most beautiful beach in Cuba), and Varadero (the most popular beach destination in the island), Playa Ancon still has a place in my heart. And if you are still wondering if it’s worth visiting, the answer is definitely yes. 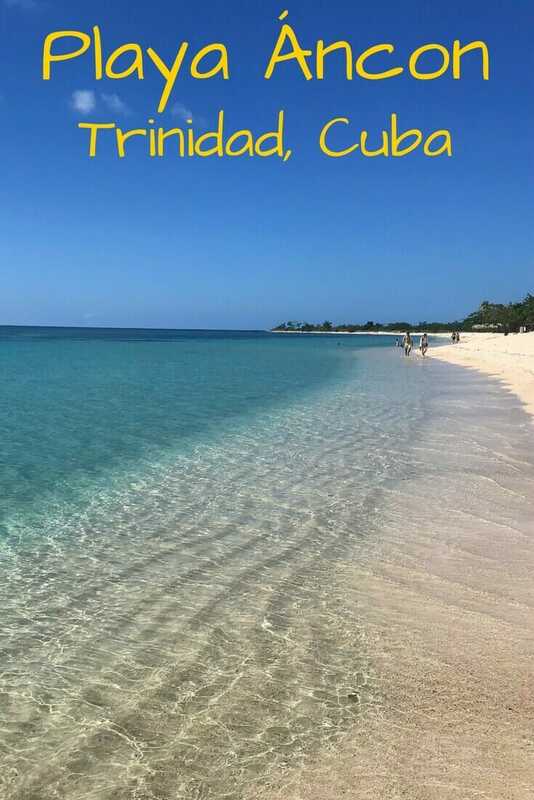 Safe travels and enjoy one of the best beaches in Cuba. To apply for a Cuban visa, you need a Travel Insurance. Get yours here with World Nomads, my personal insurance and the favorite one for independent travelers. Great photos! We took a 8 CUC taxi from our casa particular in Trinidad to Playa Ancon and went there 2 more times. Until the jelly fish scared us away and we headed to Varadero. We also brought the swimming goggles for the kids. They enjoyed every second of it. I liked the fact that the beach is not crowded, even in July.